Hi folks! 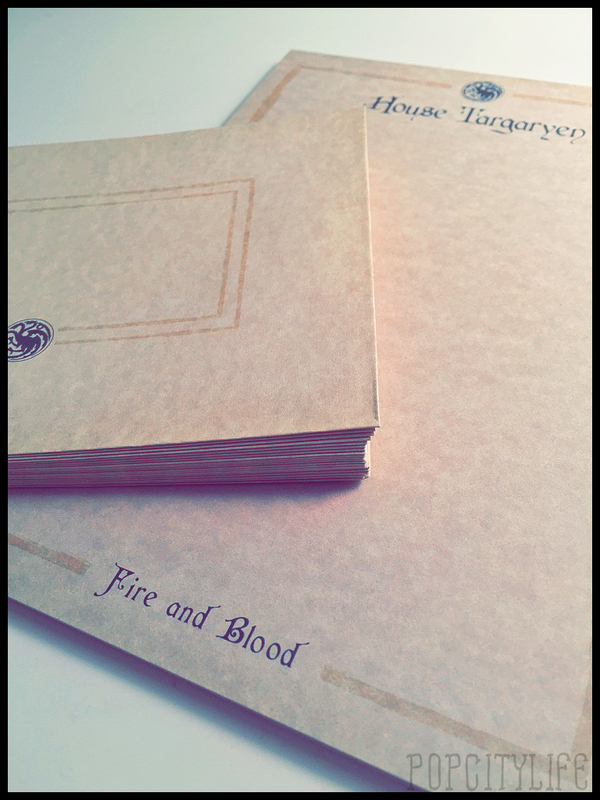 Today we’d like to bring you a lovely review of the Game of Thrones Stationery Sets by Insight Editions. I’ve had it for a few weeks now and I would’ve reviewed it sooner, but my computer was broken! It’s all right, though– it just gave me more time to fiddle around with the set and bring you an even better review. The box it comes in is absolutely gorgeous, with all the embellishments raised and shiny. The red dragon comes to life under your hands. Now, let’s open the box. In the above image, the paper and enveloped are tucked under the journal. Let’s take a look at all of these amazing pieces now, shall we? First off, here’s the journal. 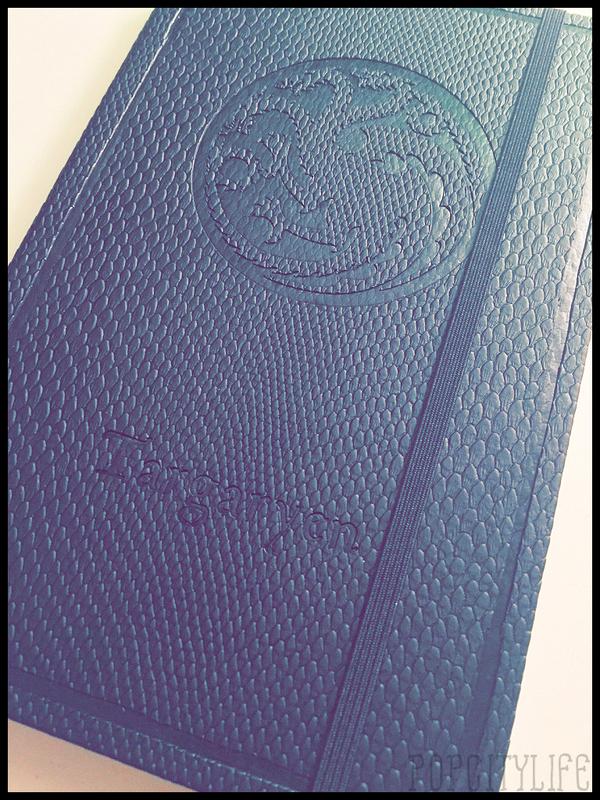 The cover is faux-dragon scale, and it’s got a little strap that keeps the book from falling open. 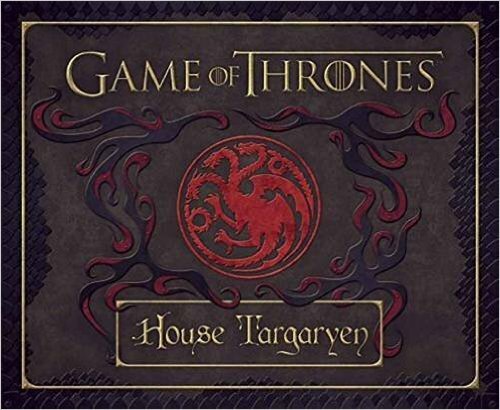 It features the Targaryen House sigil and “Targaryen” across the bottom. 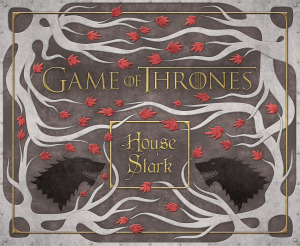 When you first open the cover, you’re greeted by a hi-res, full-color image of the Unsullied splashed across the inside cover and first page. On the backside of the image, it reads “Property Of” and leaves a space for your name. 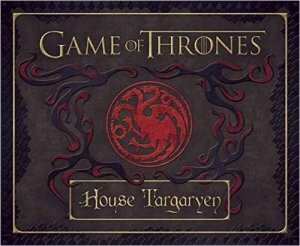 This page folds out to tell you more about House Targaryen, and has individual photos and blurbs of Daenerys, Viserys, and Khal Drogo. It features a red ribbon to serve as a bookmark. 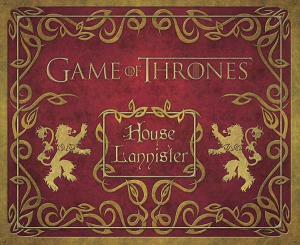 The back inside cover features a map of the world; as per Daenerys’ domain, Westeros is only featured a little. 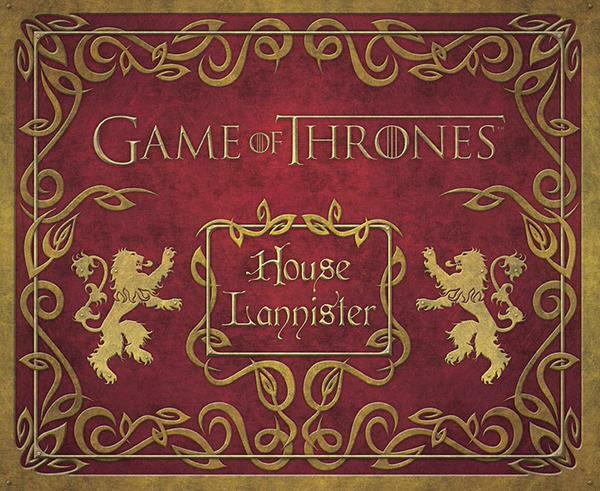 The majority of the map is Essos. 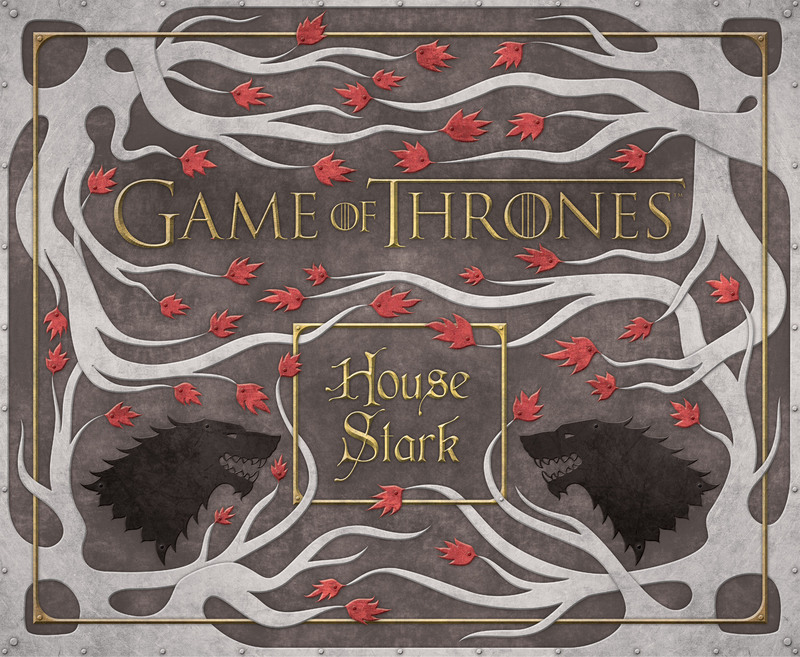 The Essos part of the map is also a little pocket, perfect for keeping little notes or small trinkets. Here’s the paperweight! It weighs four and one-eighth ounces (that’s 116.9 grams, for those of you not in the States), and is made to look like gold. The dragon is impeccably detailed. Mine has a bit of a knick out of it, but I don’t mind– it adds to its rustic, ancient sort of feel. After all, we know dragons haven’t existed for a very long time. Here’s the wax seal and sealing wax sticks! 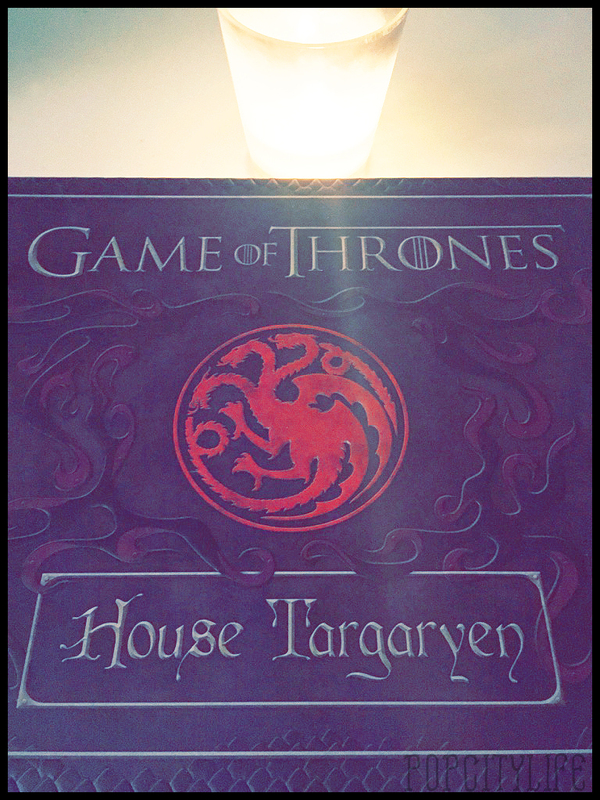 The seal is, of course, the Targaryen’s dragon sigil, with a handle of solid wood. The sticks have little fleur-de-lis imprints, and they are solid wax (no wick). 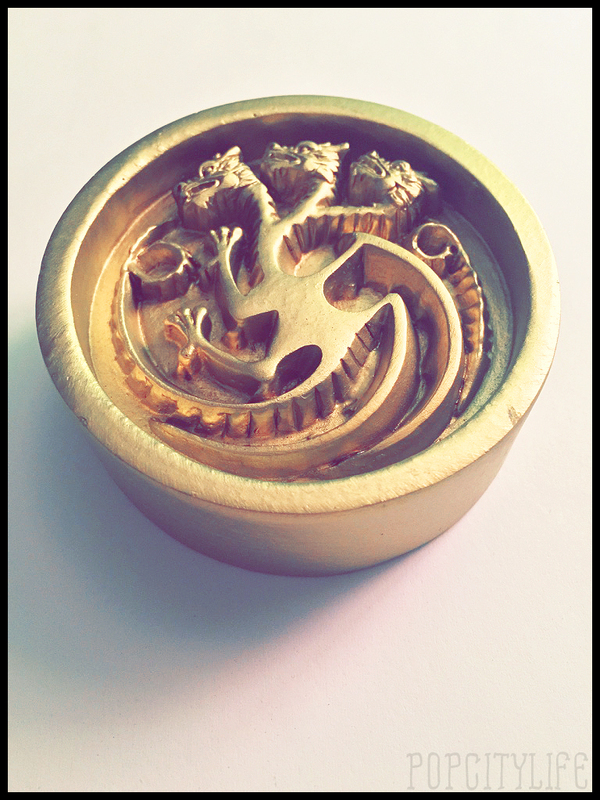 I actually have my own personal wax seal, and I love sending letters to my friends and sealing them with wax. It’s awesome to have another seal to add to my collection. 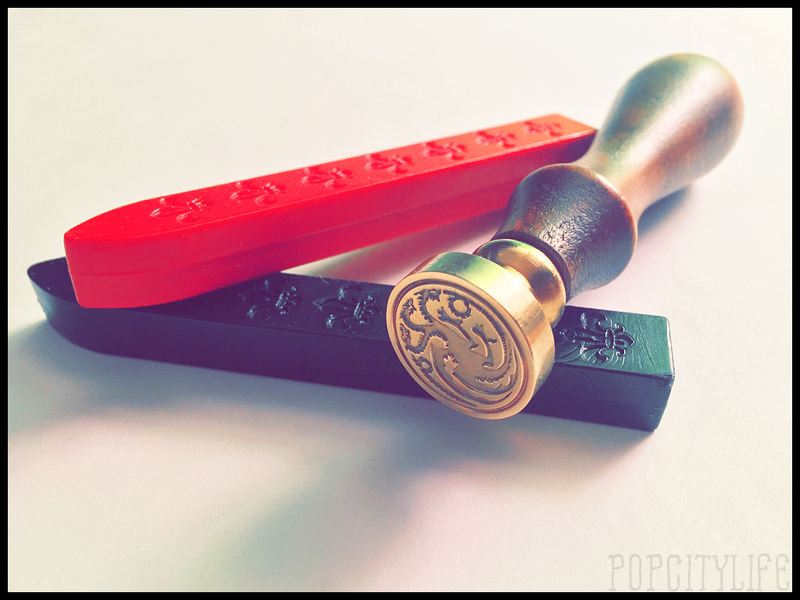 Using a wax seal seems complicated, but it’s pretty easy! You just need to heat the wax until it starts dripping; you can hold a spoon above an open flame and then drip the wax into that. Then you simply pour the wax onto the envelope. It won’t burn it, and you only need a thin layer. Make sure you press the seal into the wax before it dries. Ensure you don’t wiggle it, and you don’t need to forcibly hold it in place; leave it there for 10-15 seconds before you lift it up, and taa daa! You have a beautiful wax seal. I did one to show you guys, but it’s so small that it didn’t photograph well at all. It looks great in person, though. You’ll have to trust me on that. Here’s a tip from me to you: if you do write your friend a letter and use the wax to seal the envelope, make sure you put that envelope inside another envelope. The post office sorters are very narrow and will almost definitely scrape the seal right off the outside. You may have to stick a little more postage on the envelope because it’s thicker now, but it’ll be worth it for your friend to receive a wax-sealed envelope! The papers are 8 1/4″ high and 5 3/4″ wide. The envelopes are 6 1/4″ wide and 4 1/2″ tall. 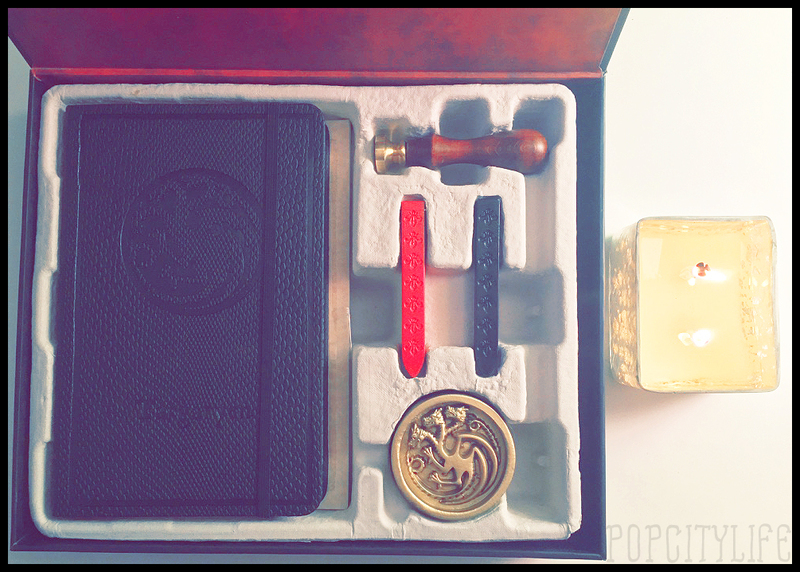 This set is absolutely beautiful, and I definitely recommend it for anyone who loves letter-writing, journaling, playing with fire, dragons, Game of Thrones, and/or wax seals! My only gripe: it doesn’t come with a pen! 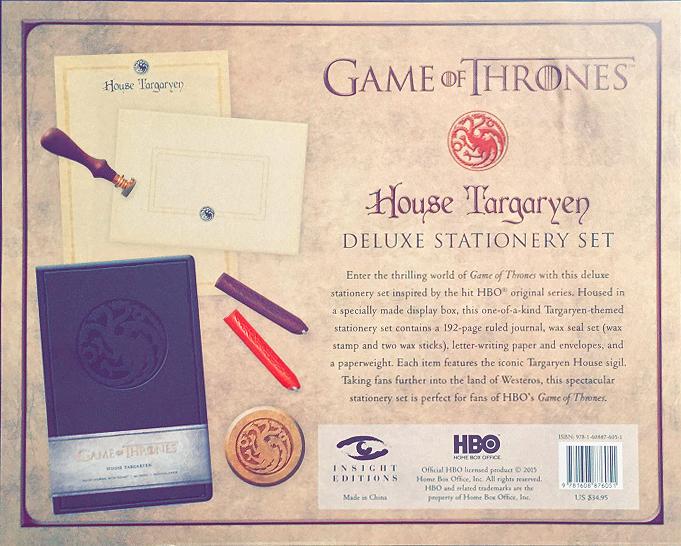 So if you do get this for someone, ensure you grab them a beautiful faux-fountain pen to go with it. Otherwise, they’ll be pretty much unable to put anything in the box to good use! Above all, it’d make a perfect Christmas (or other non-denominational holiday) gift for the above-described person in your life. Hey awesome, thank you so much for your kind words! Good work on the pen. 😉 Let us know what your giftee thinks! !